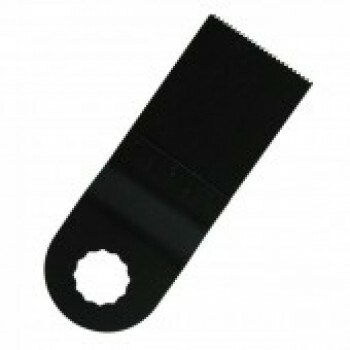 This Original Style Rockwell SoniCrafter Fitting high carbon steel blade is ideal for clean flush cutting into hardwoods, plywood and particle boards. The fine teeth on this blade make it excellent for controlled cutting of plastics, sheetrock, fiberglass and other non metallic materials. The R003 SoniCrafter Fine Tooth saw blade is designed for clean cutting of harder commercial grade woods such as oak, hickory & ash. Using this blade with a steady hand will give you a nice clean finish.